Recordsets are iterable so the usual Python tools are available for transformation (map(), sorted(), ifilter(), ...) however these return either a list or an iterator, removing the ability to call methods on their result, or to use set operations. 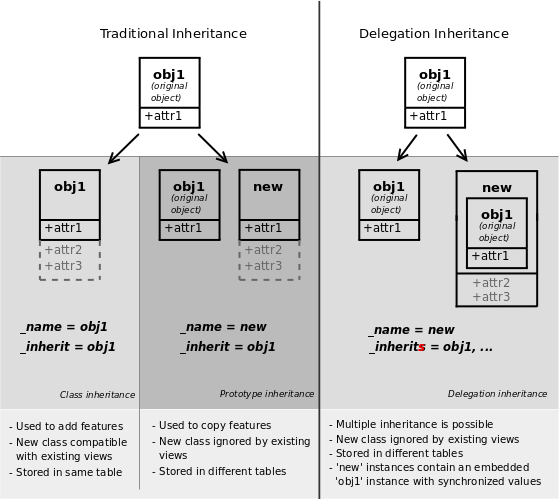 Clearing caches can be performed using the invalidate_all() method of the Environment object. Main super-class for regular database-persisted OpenERP models. replaces all existing records in the set by the ids list, equivalent to using the command 5 followed by a command 4 for each id in ids. Can not be used on One2many. By default this returns a [UNKNOWN NODE title_reference] recordset, where access control and record rules are bypassed. Using [UNKNOWN NODE title_reference] could cause data access to cross the boundaries of record rules, possibly mixing records that are meant to be isolated (e.g. records from different companies in multi-company environments). Because the record rules and access control will have to be re-evaluated, the new recordset will not benefit from the current environment's data cache, so later data access may incur extra delays while re-fetching from the database. The new environment will not benefit from the current environment's data cache, so later data access may incur extra delays while re-fetching from the database. The compute method has to assign the field on all records of the invoked recordset. The decorator openerp.api.depends() must be applied on the compute method to specify the field dependencies; those dependencies are used to determine when to recompute the field; recomputation is automatic and guarantees cache/database consistency. Note that the same method can be used for several fields, you simply have to assign all the given fields in the method; the method will be invoked once for all those fields. Returns the given timestamp converted to the client's timezone. This method is not meant for use as a _defaults initializer, because datetime fields are automatically converted upon display on client side. For _defaults you fields.datetime.now() should be used instead. uses of _columns or _all_columns should be replaced by _fields, which provides access to instances of new-style openerp.fields.Field instances (rather than old-style openerp.osv.fields._column).